The fuel our body gets comes from the food our body is fed. When we cook our food we kill the “Enzymes” in it. Eating “dead” cooked food is like living a life addicted to death. Enzymes cause the body’s biochemical spark responsible for life. From your conception to your birth, from your breath to your every thought, from sickness to health and from your fork to your mouth, enzymes are responsible. When we eat “live”, enzyme-rich food and add enzymes back into our diets, we change our experience and begin a life addicted to living. Enzymes are substances which make life possible. They are needed for every chemical reaction that occurs in our body. Without enzymes, no activity at all would take place. Neither vitamins, minerals or hormones can do any work without enzymes Enzymes are the ”labor force” that builds your body just like construction workers are the labor force that builds your house. You may have all the necessary building materials and lumber, but to build a house you need workers, which represent the vital life elements. You need enzymes to keep the body alive and well. Enzymes consist of proteins (and vitamin) carriers charged with energy factors just as a battery consists of metallic plates charged with electrical energy. It seems that we inherit a certain enzyme potential at birth. This limited supply of activity factors of life force must last us a lifetime. It’s just as if you inherited a certain amount of money. If the movement is all one way — all spending and no income you will run out of money. Likewise, the faster you use up your supply of enzymes activity, the quicker you will run out. Other things being equal, you live as long as your body has enzyme activity factors to make enzymes from. When it gets to the point that you can’t make certain enzymes, then your life ends. Just about every single person eats a diet of mainly cooked foods. Keep in mind that whenever a food is heated at 212 degrees, the enzymes in it are 100% destroyed. LiyfZyme are full spectrum, plant-based, super digestive enzymes, including sulfite-free papain. Using 16 different powerful enzymes this formula contains not only the highest enzyme activities but has been specially designed with the best ratios to meet today’s varying diets! Excellent for using with cooked foods and raw foods which are both enzyme deficient. Enzymes are the vital workers necessary for optimal digestion, they are responsible for the breakdown and absorption of all nutrients, and are the body’s key communicators. Using all natural whole food enzyme cofactors, Lifyzyme is able to create a soothing effect even for those who have extreme heartburn or indigestion. 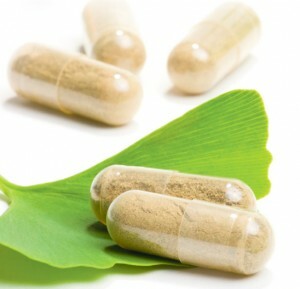 This makes this all-natural, non-synthetic Super Digestive Supplement the perfect choice.